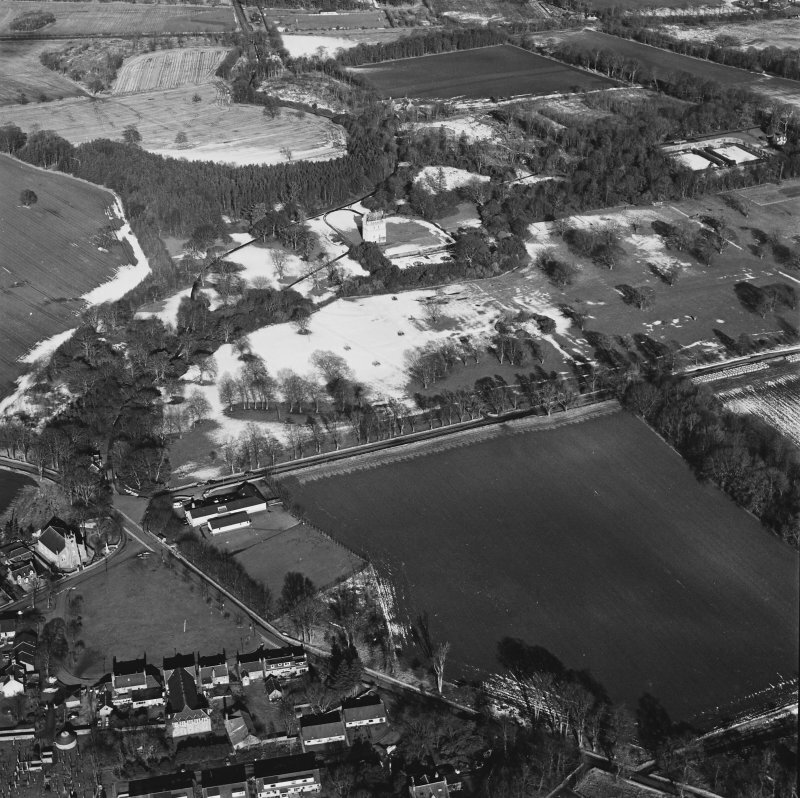 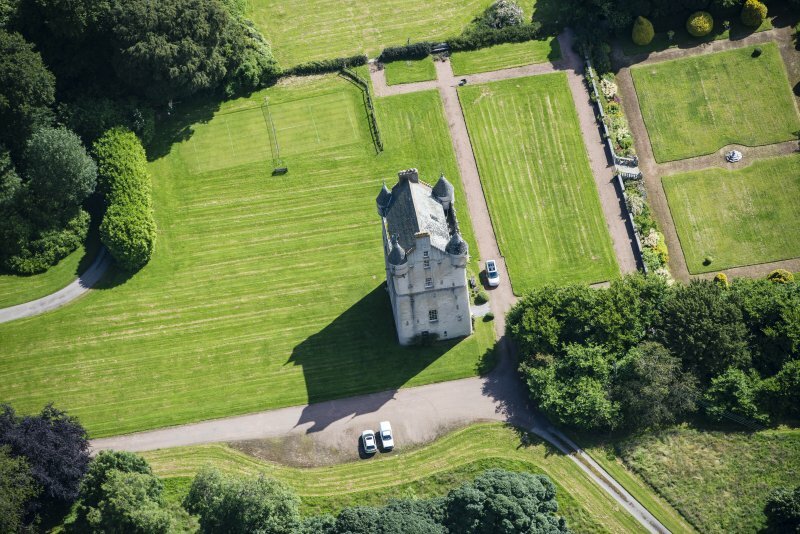 Oblique aerial view centred on Udny Castle and gardens taken from the SE. 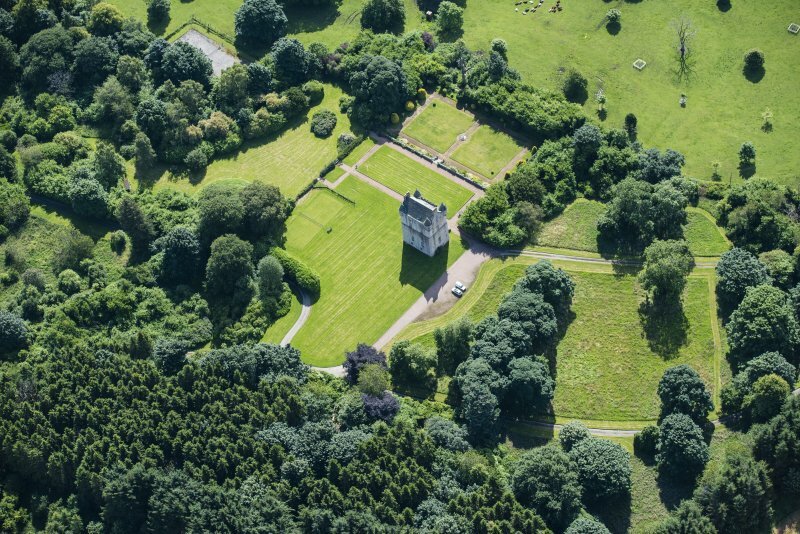 Oblique aerial view centred on Udny Castle and gardens taken from the WNW. 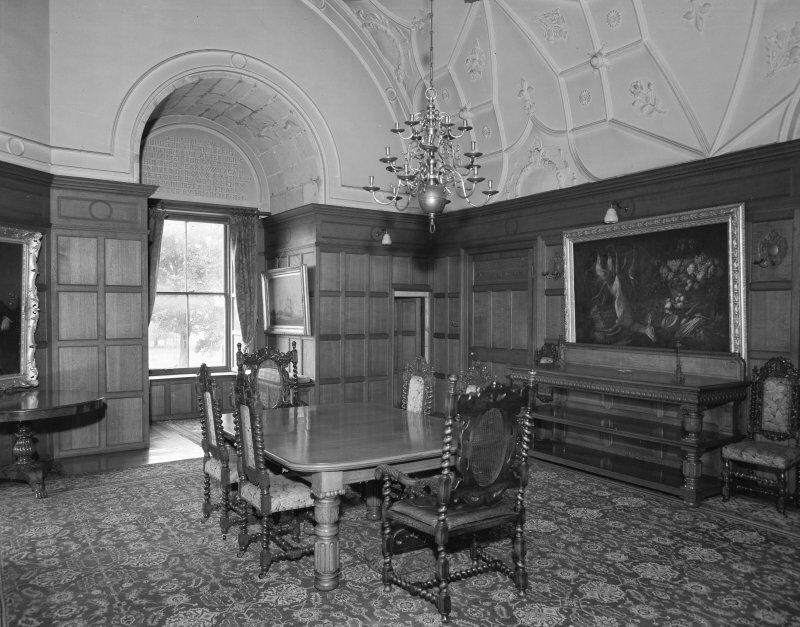 Interior view of Udny Castle showing hall (now dining room). 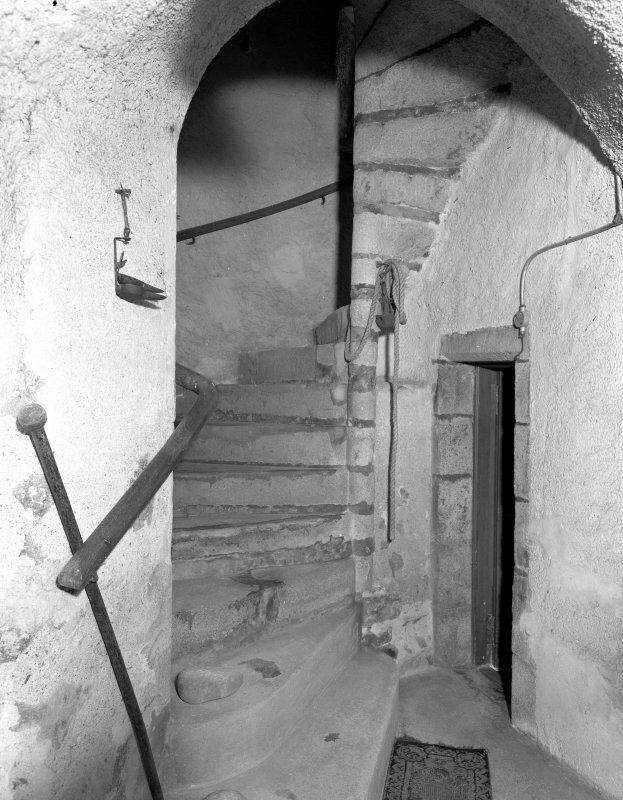 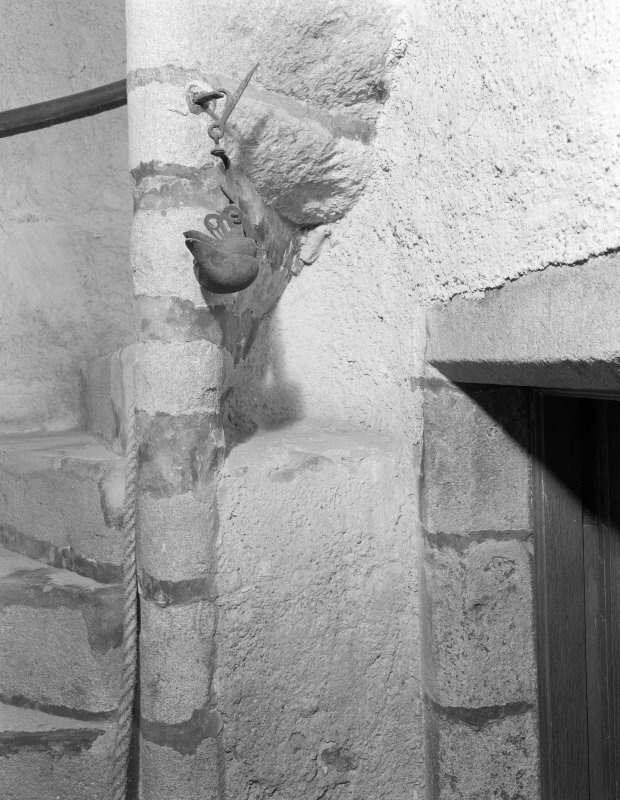 Interior view of Udny Castle showing newel stair in tower. 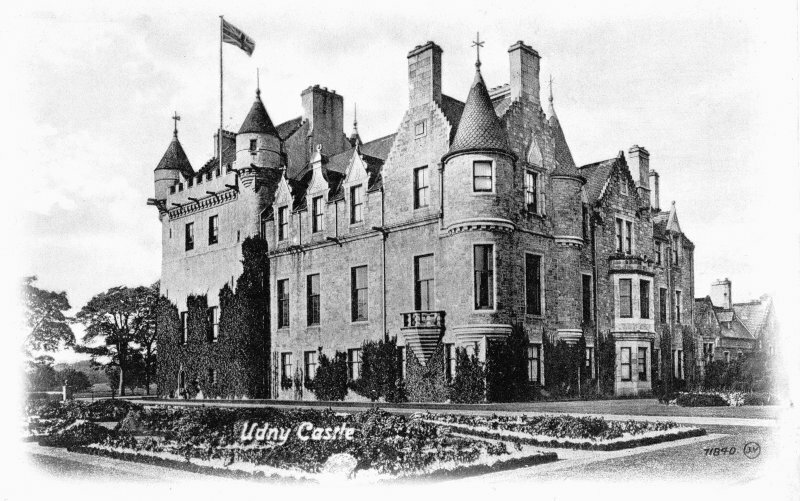 View of Udny Castle from south west. 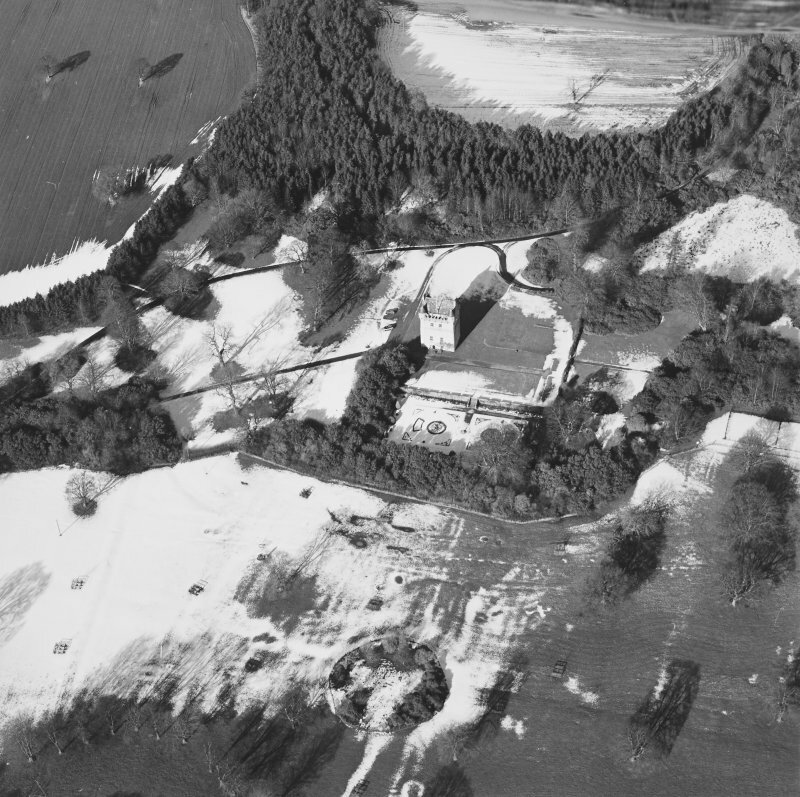 Copy of historic photograph showing view from SE. 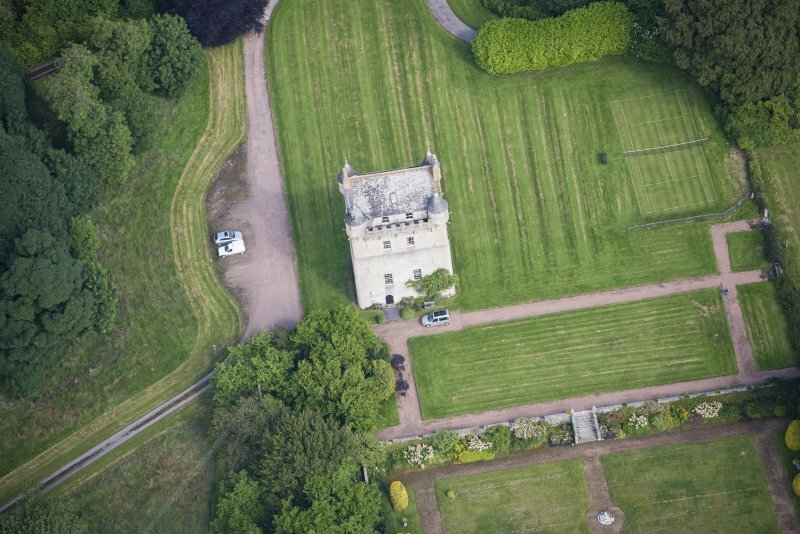 Oblique aerial view centred on Udny Castle and gardens taken from the SSW. 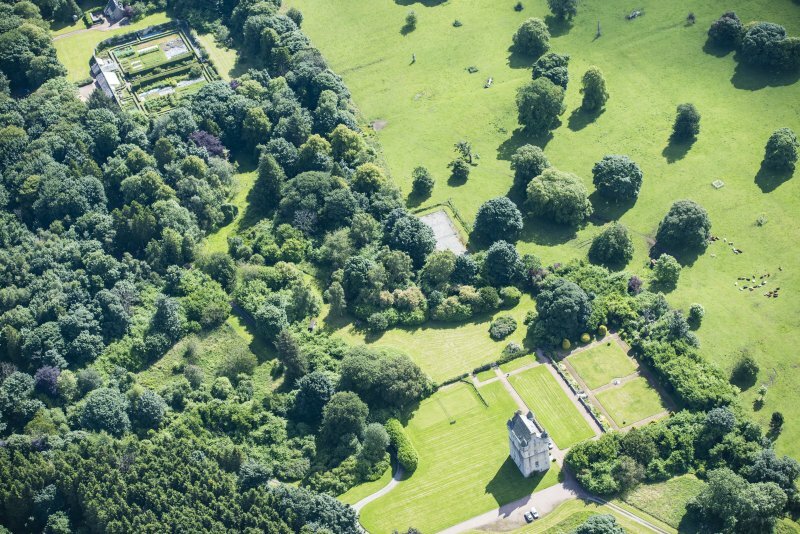 Oblique aerial view centred on Udny Castle and gardens taken from the SW.
Oblique aerial view centred on Udny Castle and gardens taken from the WSW. 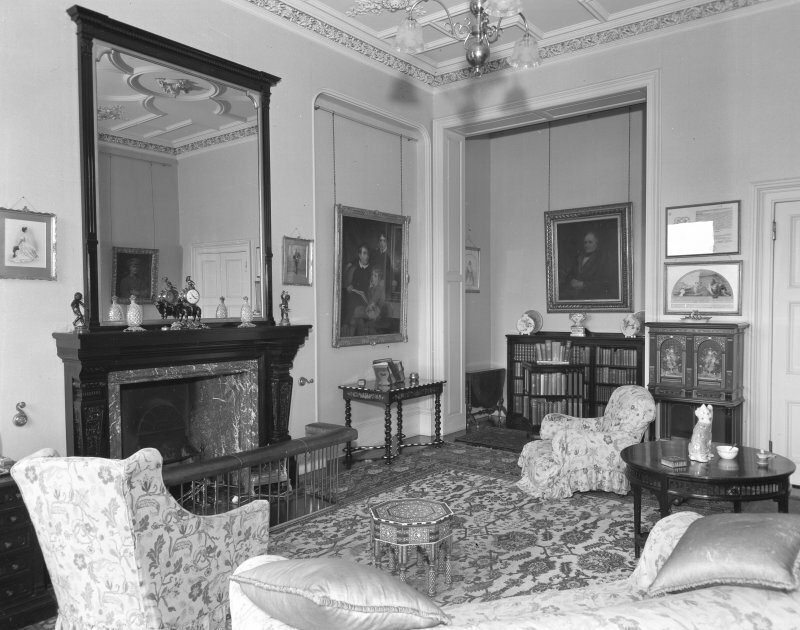 Interior view of Udny Castle showing sitting room. 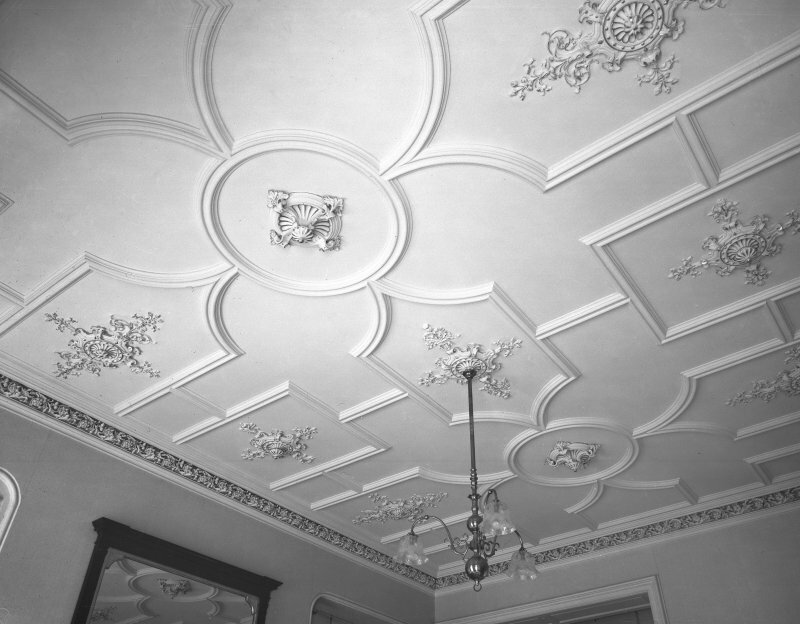 Interior view of Udny Castle showing detail of sitting room ceiling. 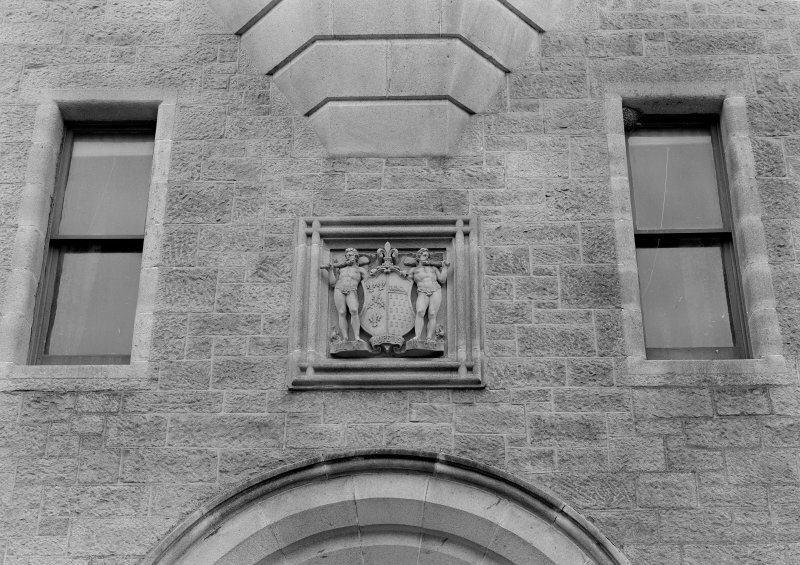 Detail of Coat of Arms over entrance, Udny Castle. 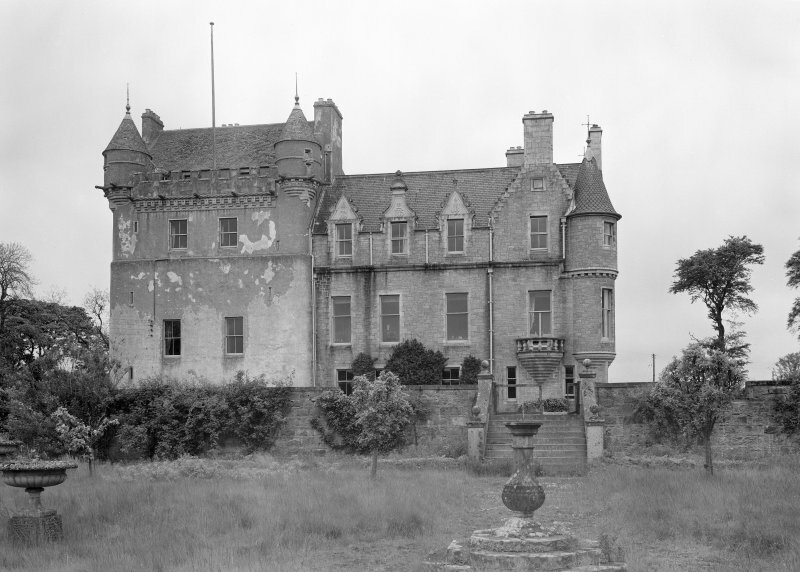 View of Udny Castle from north west. 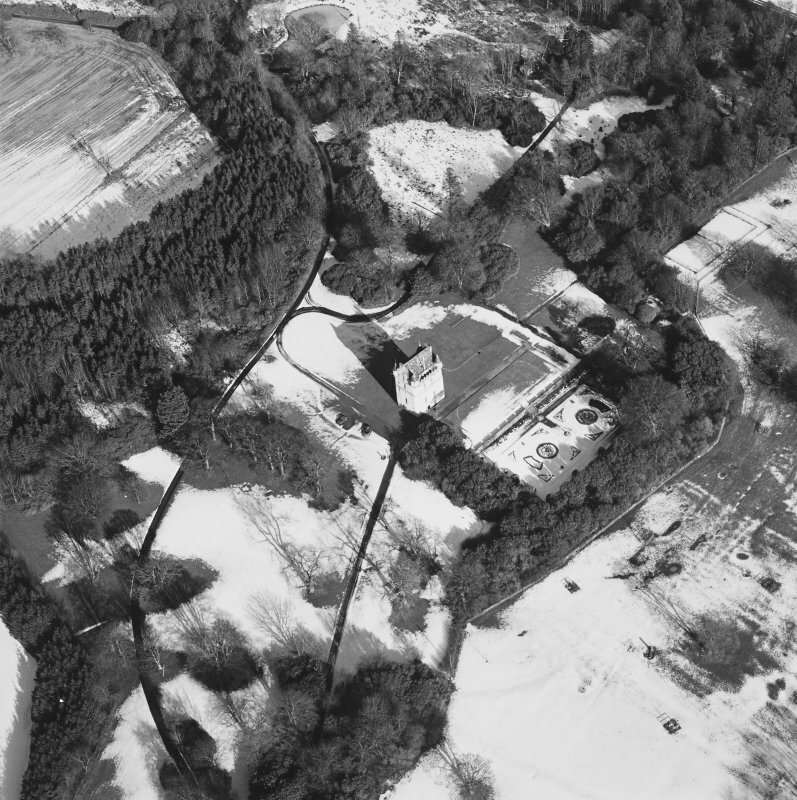 Oblique aerial view of Udny Castle, looking N.
Oblique aerial view of Udny Castle, looking ENE. 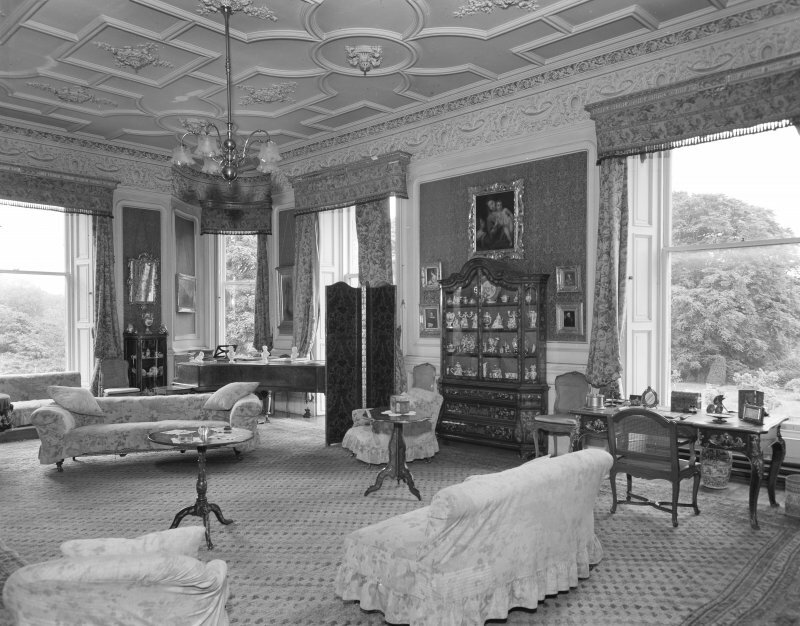 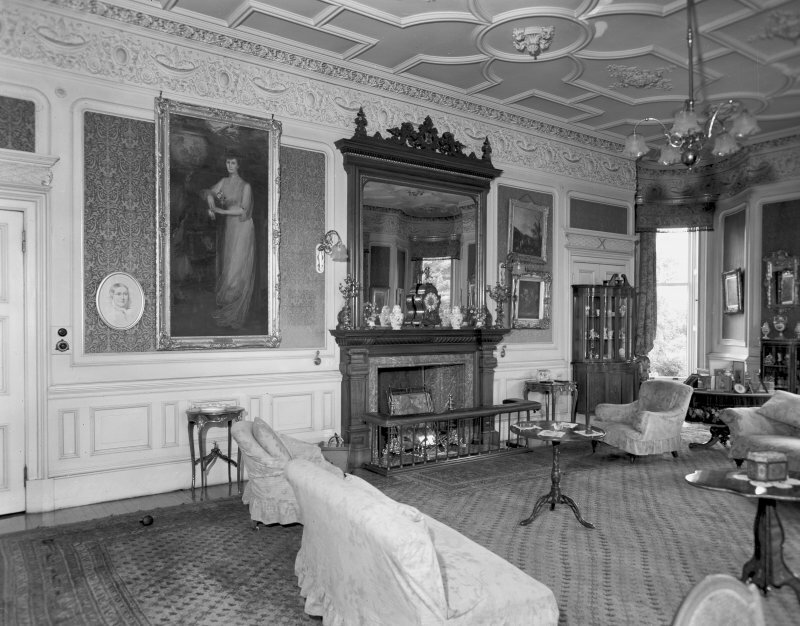 Interior view of Udny Castle showing drawing room. 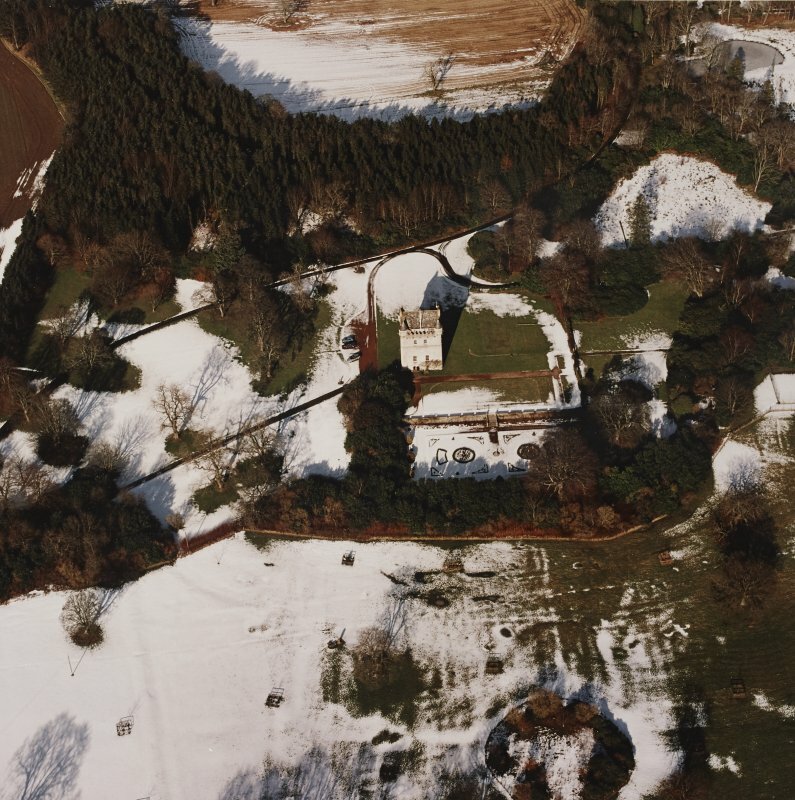 View of Udny Castle from south east. 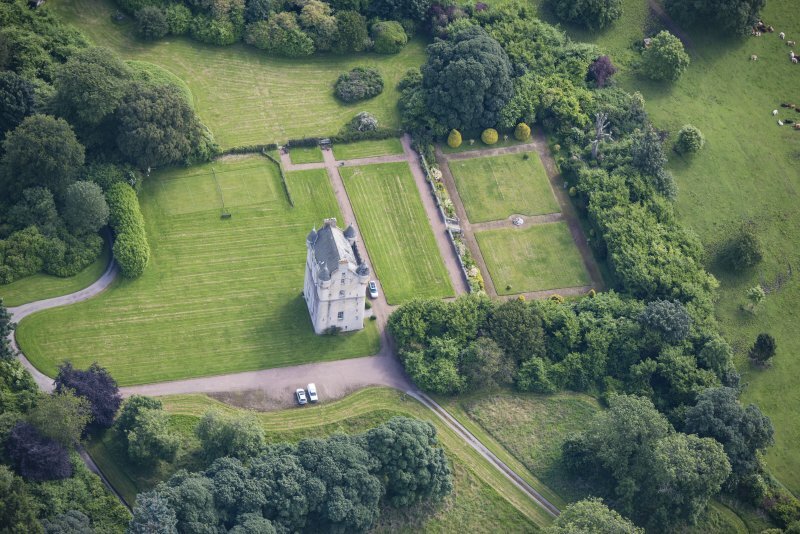 Oblique aerial view of Udny Castle and garden, looking NE. 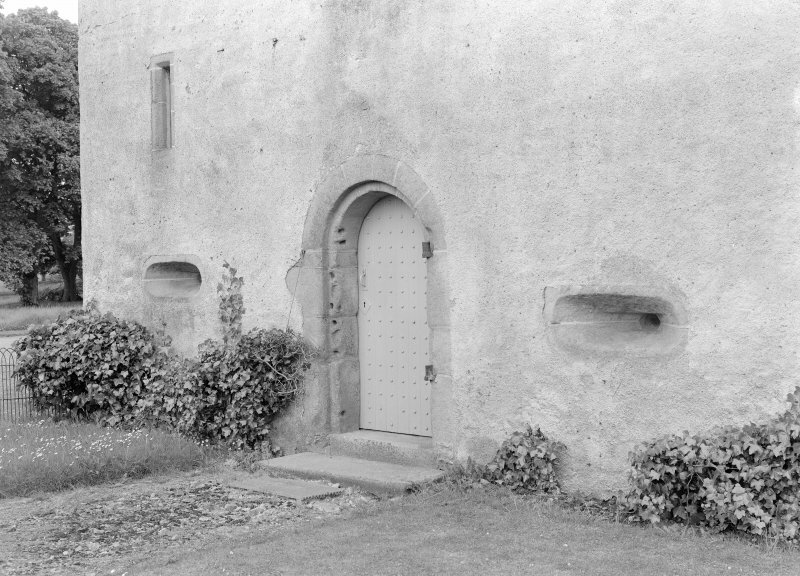 View of door and gunloops in base of tower, Udny Castle. 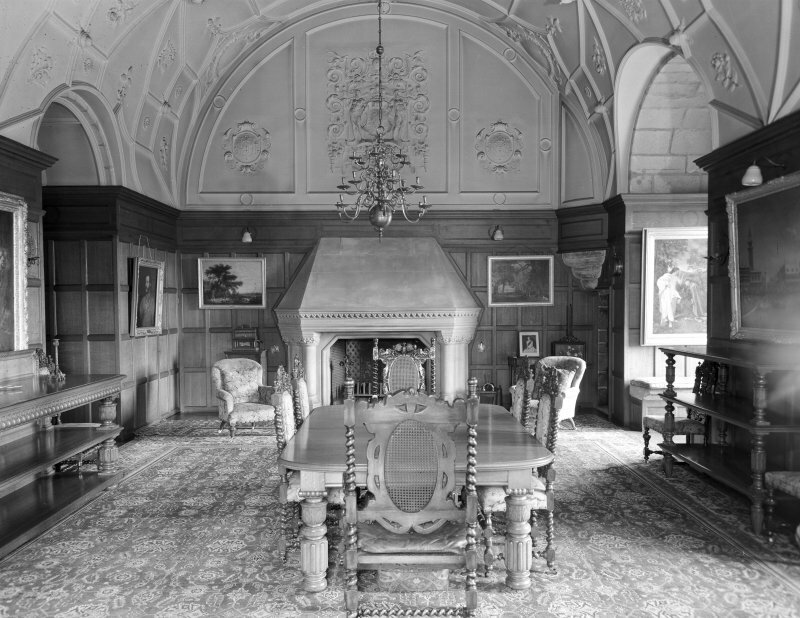 Interior view of of Udny Castle showing hall ceiling (now dining room). 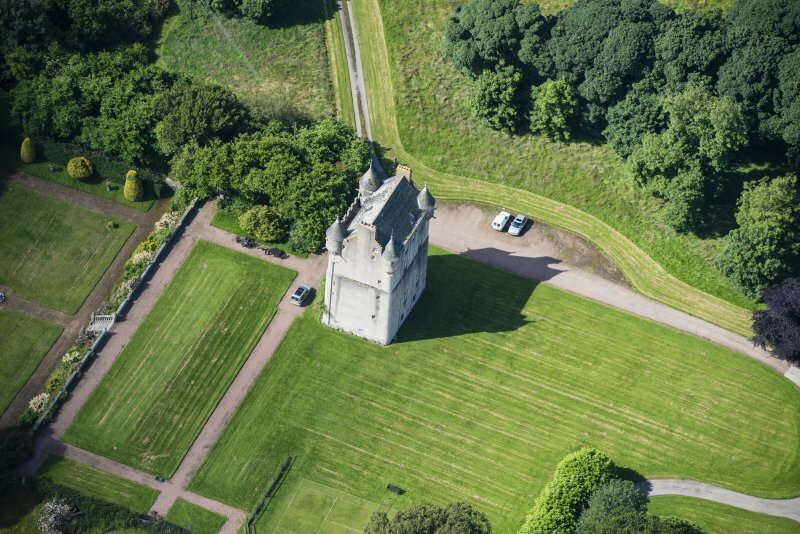 View of upper part of tower from south, Udny Castle. 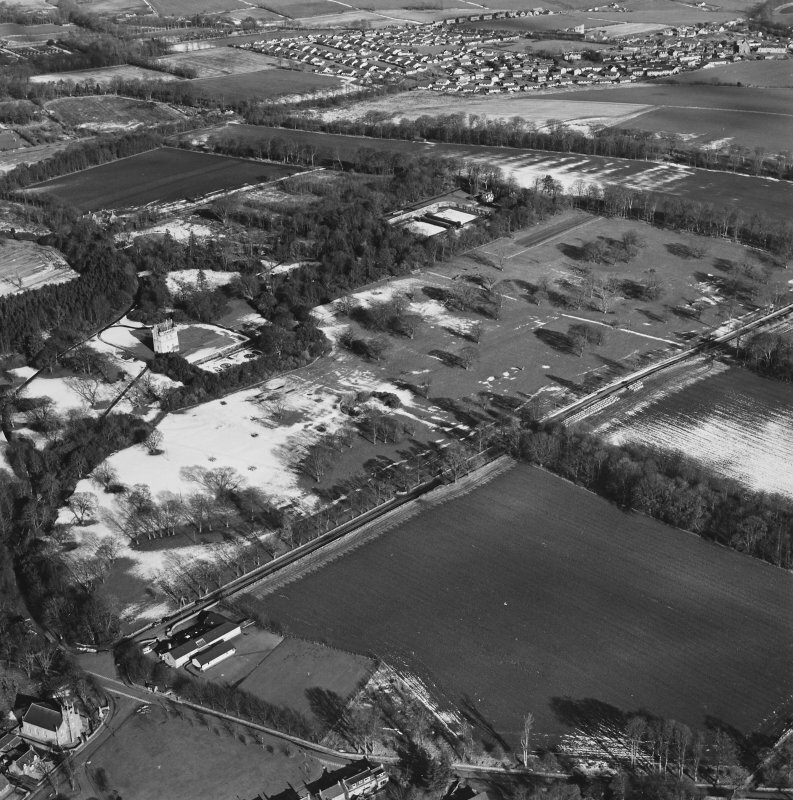 Oblique aerial view of Udny Castle and garden, looking E.
Oblique aerial view centred on Udny Castle and gardens taken from the SSE. 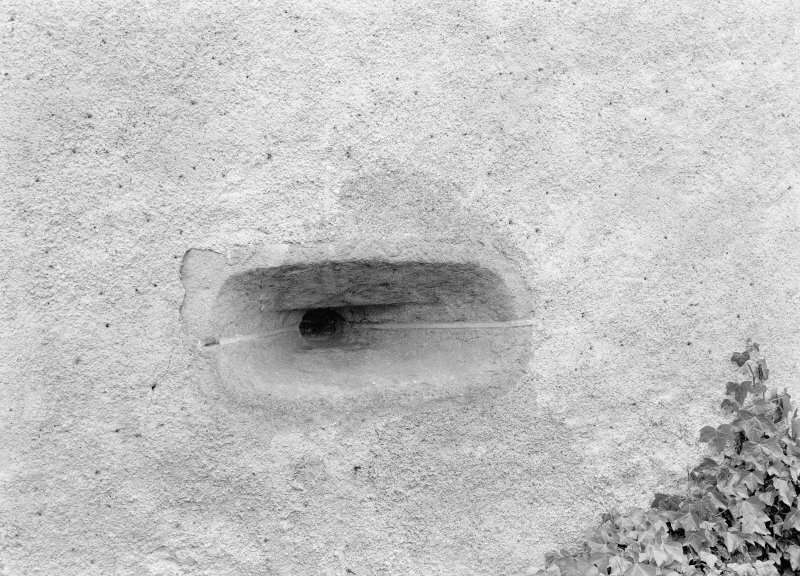 Detail of gunloops in base of tower, Udny Castle. 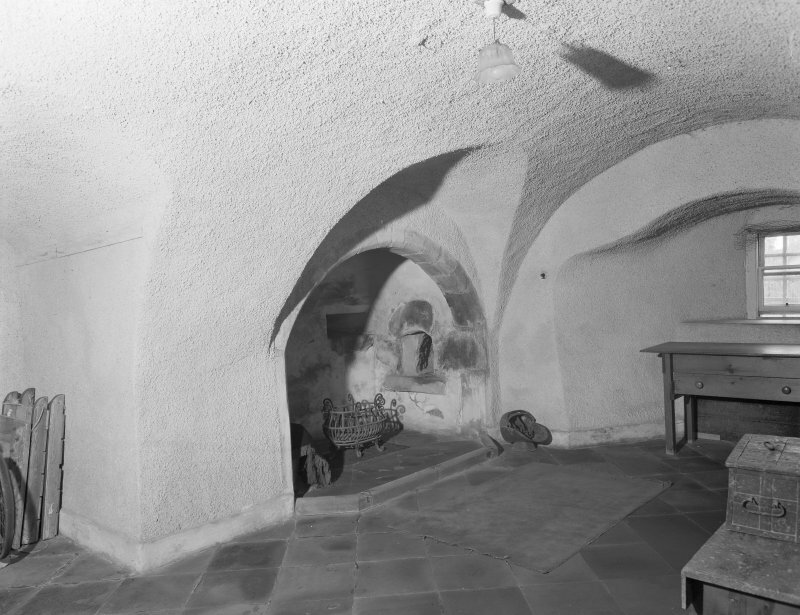 Interior view of Udny Castle showing original kitchen. 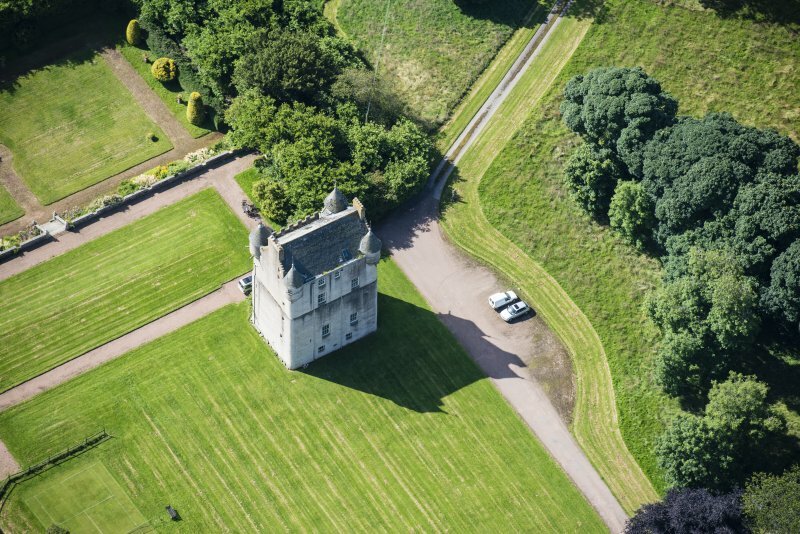 View of Udny Castle showing south elevation. 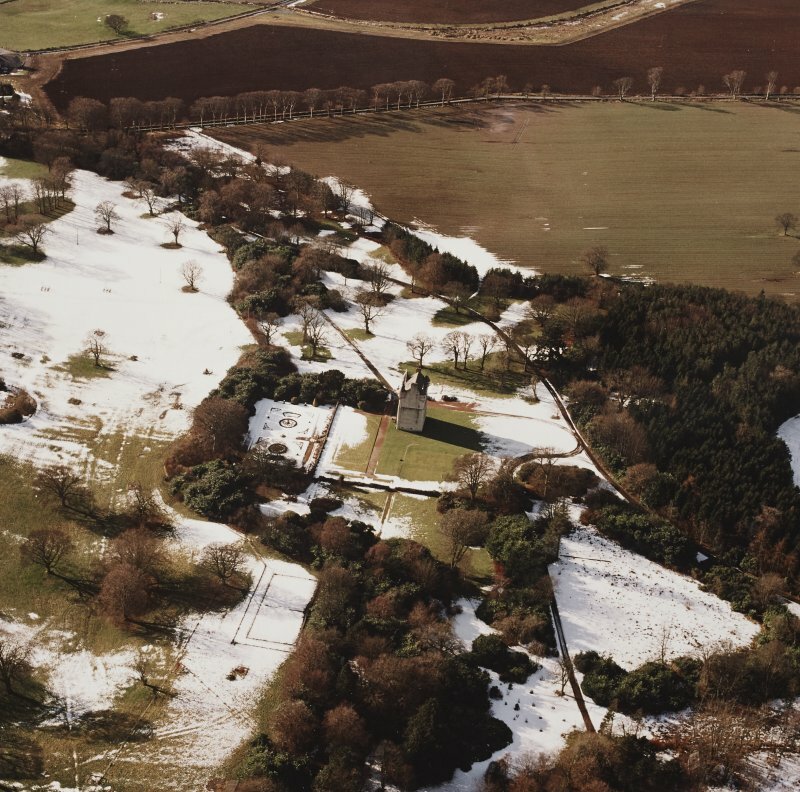 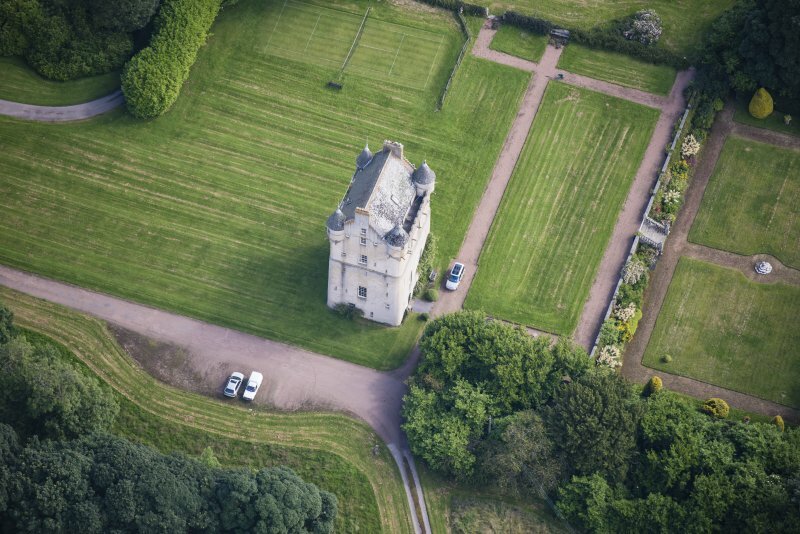 Oblique aerial view centred on Udny Castle and gardens taken from the NW. 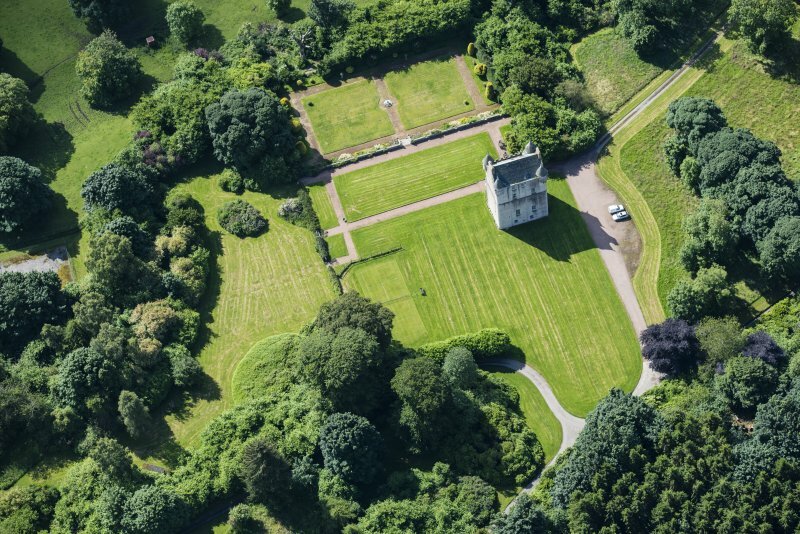 Oblique aerial view centred on Udny Castle and gardens taken from the W.
Oblique aerial view of Udny Castle and garden, looking SE. 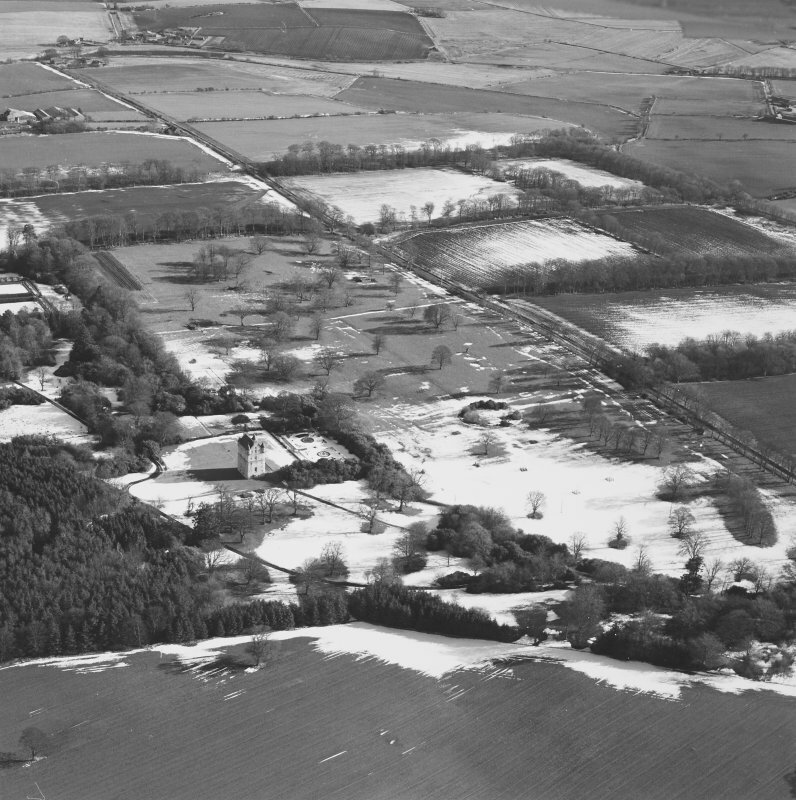 Oblique aerial view of Udny Castle, looking S.
Oblique aerial view of Udny Castle, looking SSW. 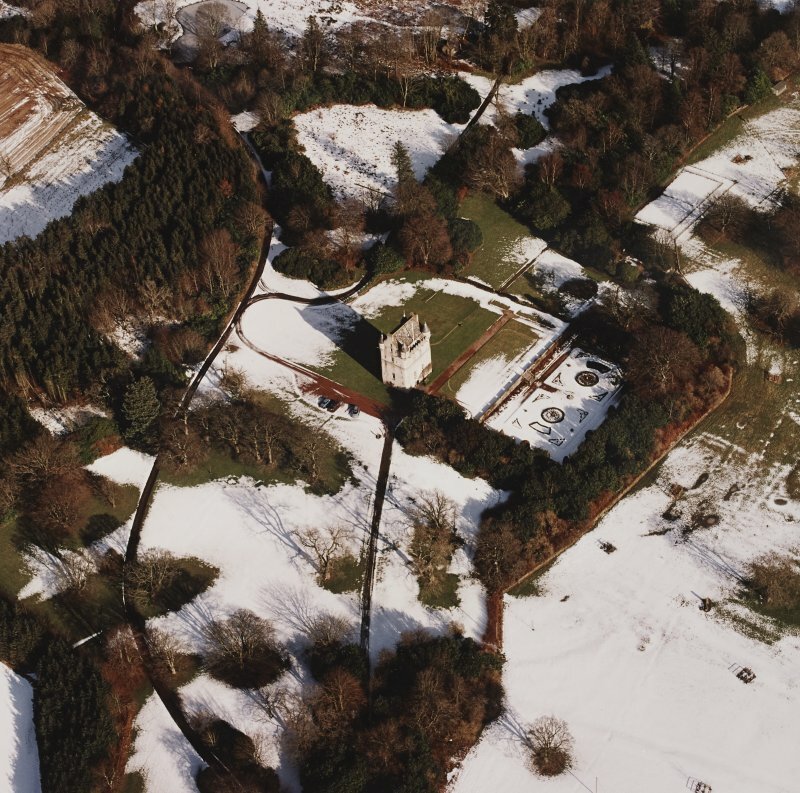 Oblique aerial view of Udny Castle, looking WSW. 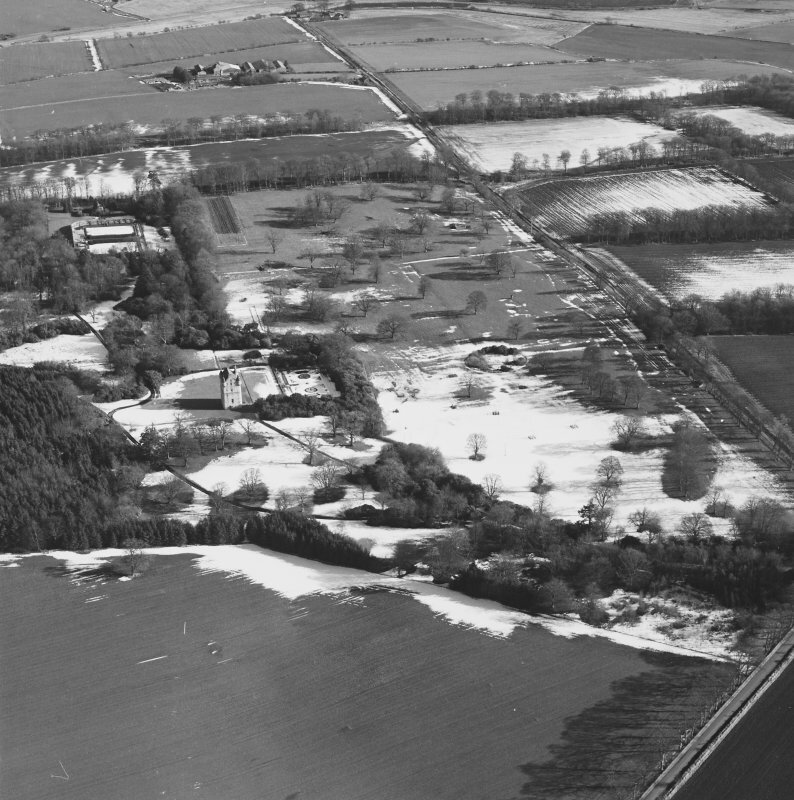 Oblique aerial view of Udny Castle, looking NNW. 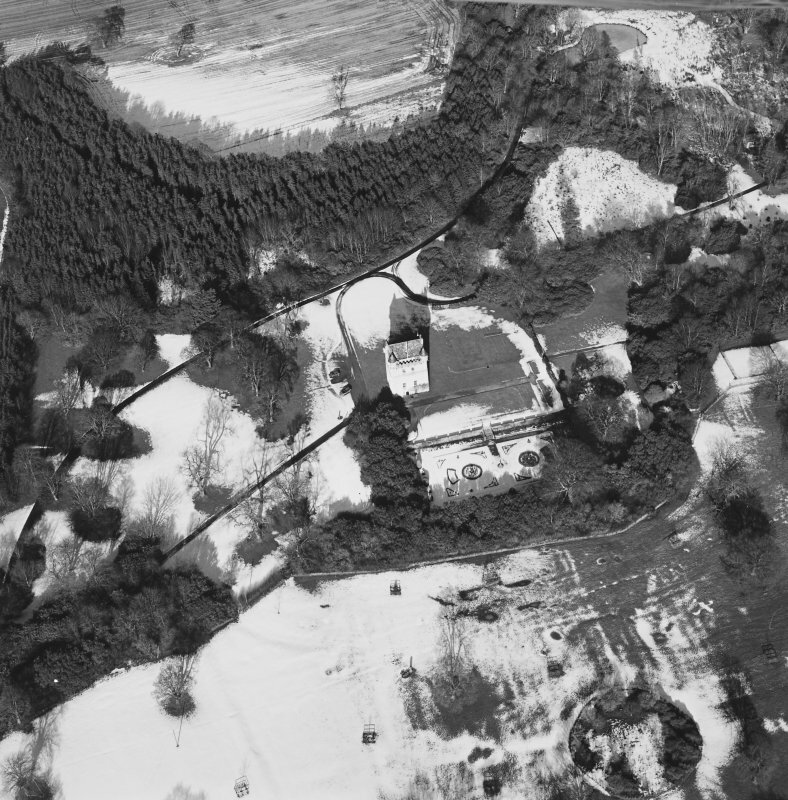 Oblique aerial view of Udny Castle and garden, looking N.
Oblique aerial view centred on Udny Castle and gardens taken from the S.
View of Udny Castle showing north elevation. 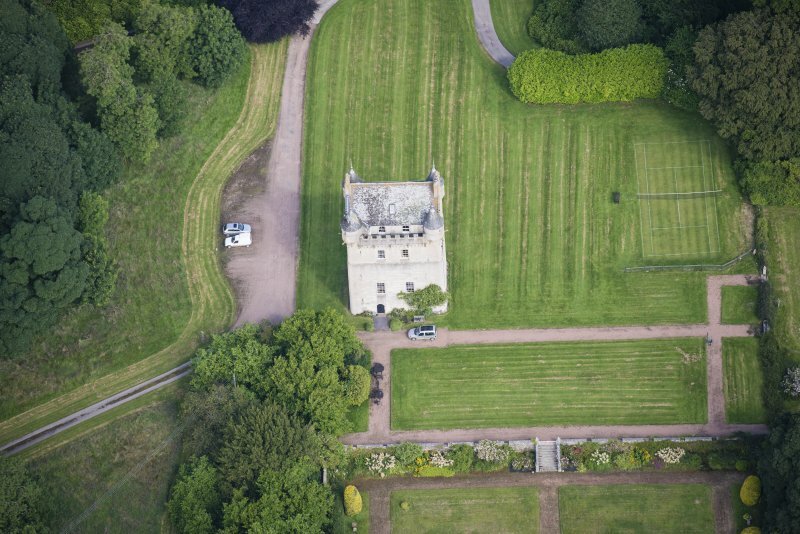 Oblique aerial view of Udny Castle, walled garden and garden, looking NE. 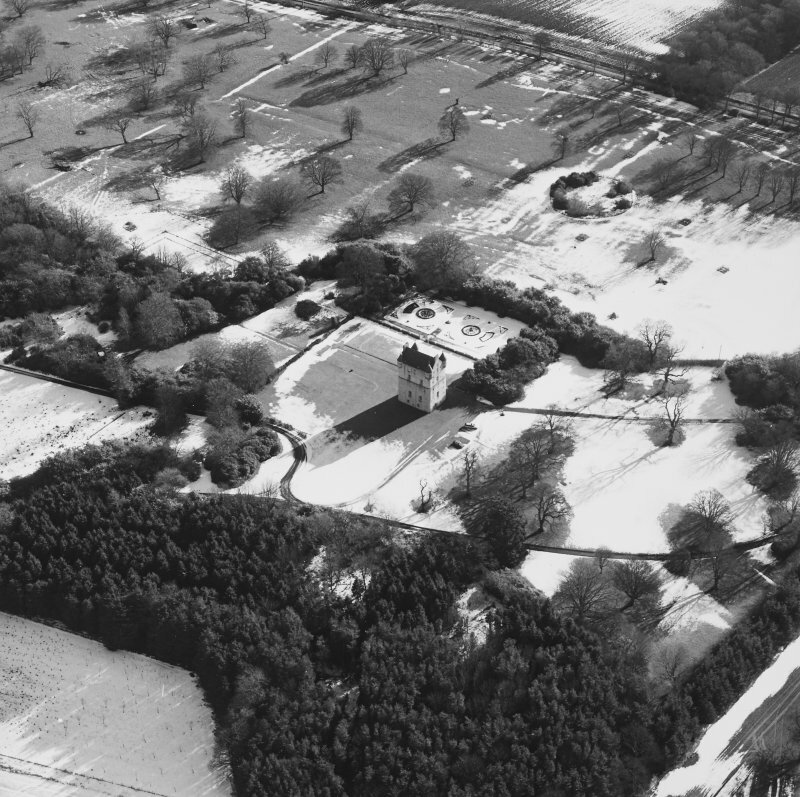 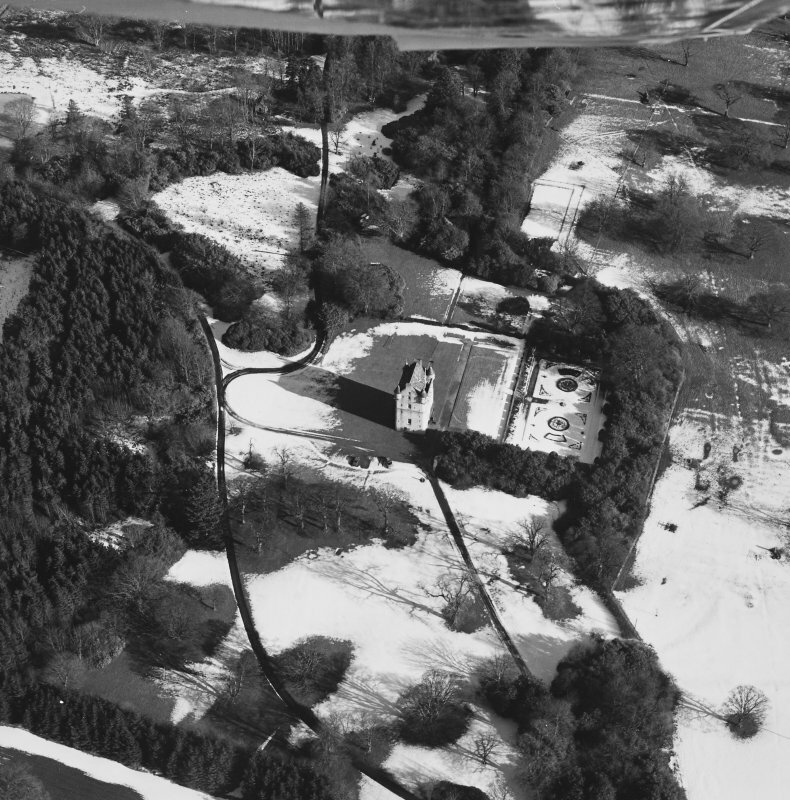 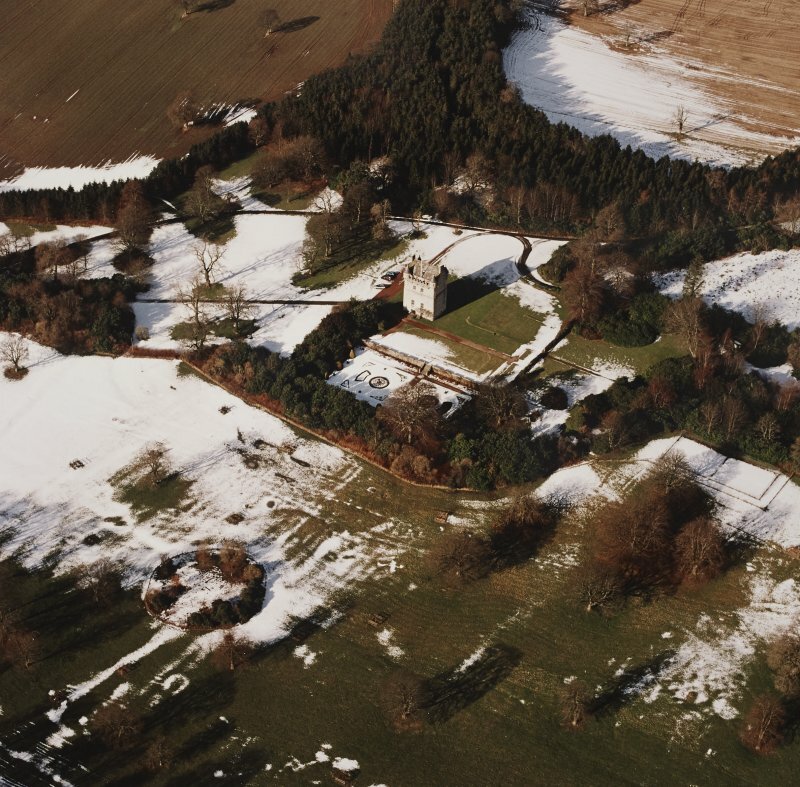 Oblique aerial view of Udny Castle and garden, looking SSE. 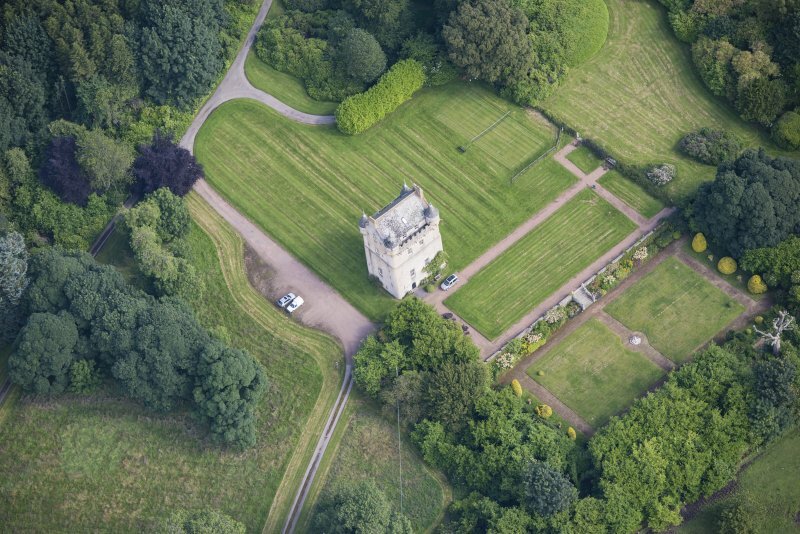 Oblique aerial view centred on Udny Castle and gardens taken from the ENE. 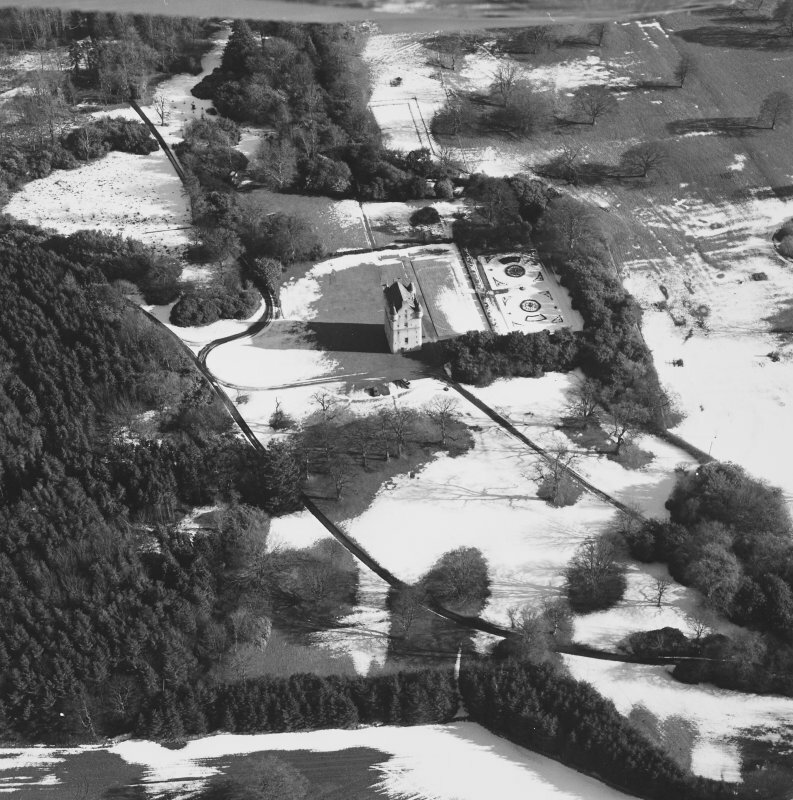 Two pencil drawings of Udny Castle. 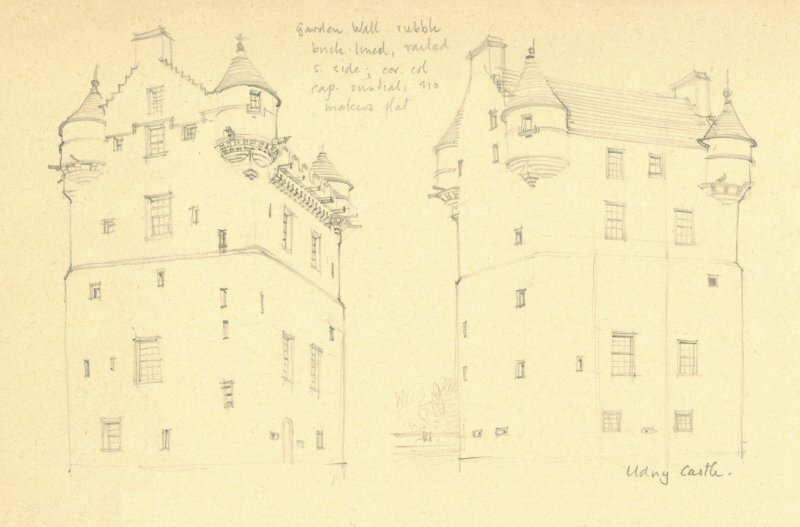 Detail taken from drawing of buildings in the parish of Udny. 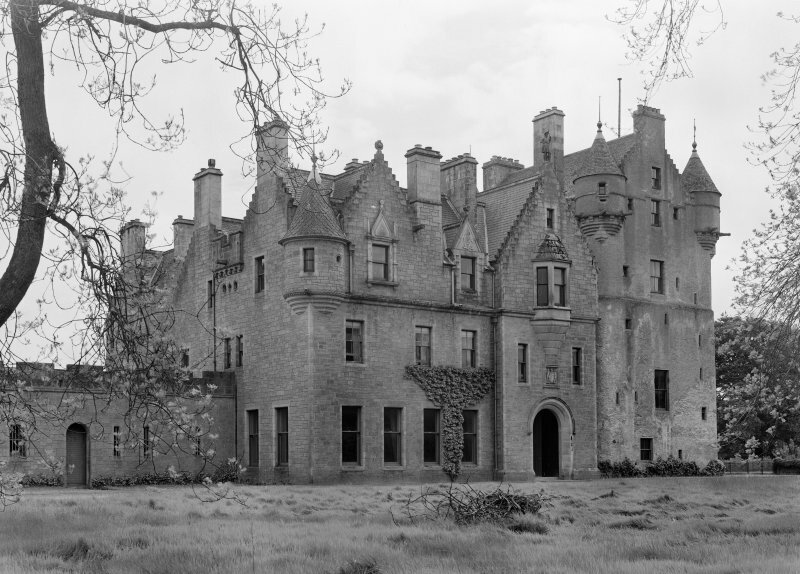 demolished and tower restored, 1964-7, by G Bennet Mitchell (John Lamb). 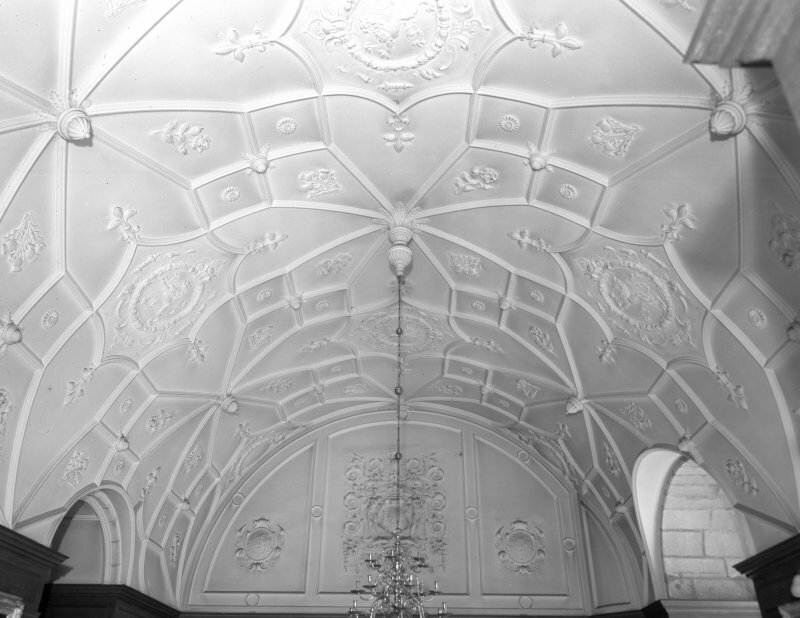 Deserted, c.1775, some repairs, 1801, but of Wardrop's efforts only the good plasterwork on the hall vault survives. 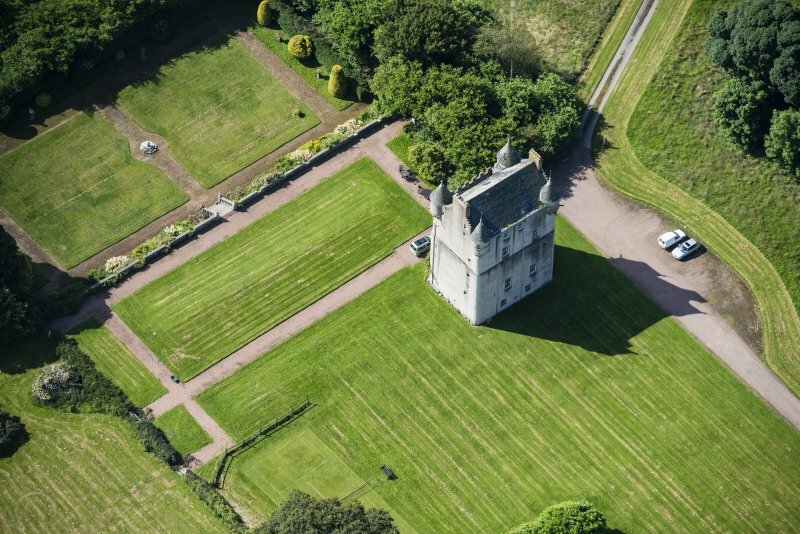 Udny Castle is a tall, five storey, stronghold, rectangular on plan, rounded at the angles. 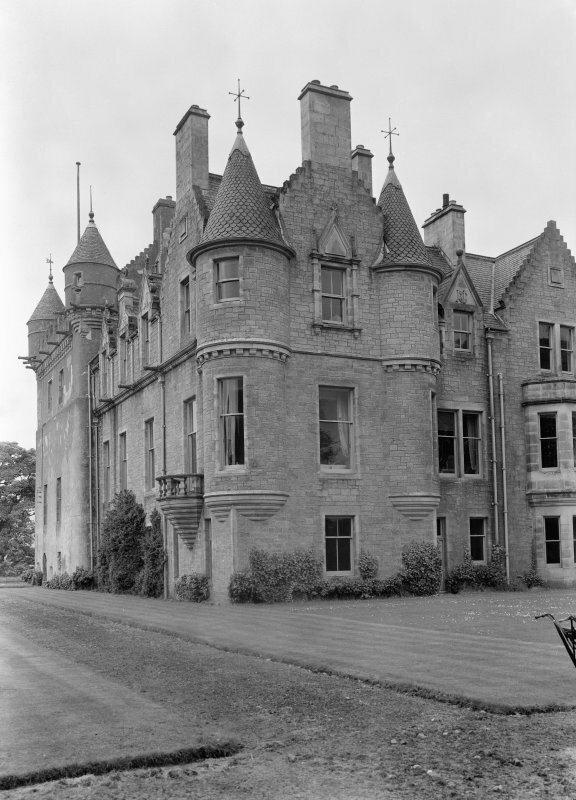 A modern mansion, which was attached, has been demolished and only the old work remains. 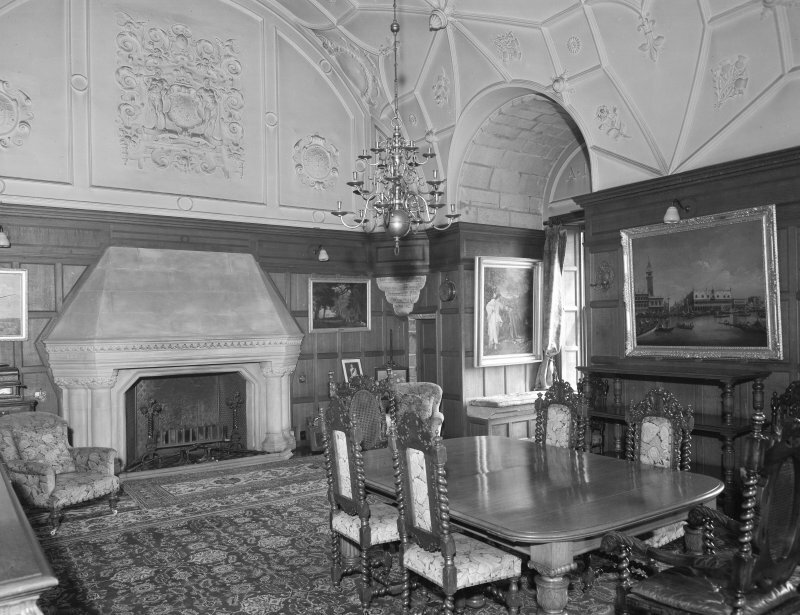 MacGibbon and Ross (1887-92) considered that the work dates from the late 16th or early 17th century, but the thickness of the walls, the vaulting on two floors and the fact that there is an ancient intake in the masonary above second floor level indicates an earlier period of construction. 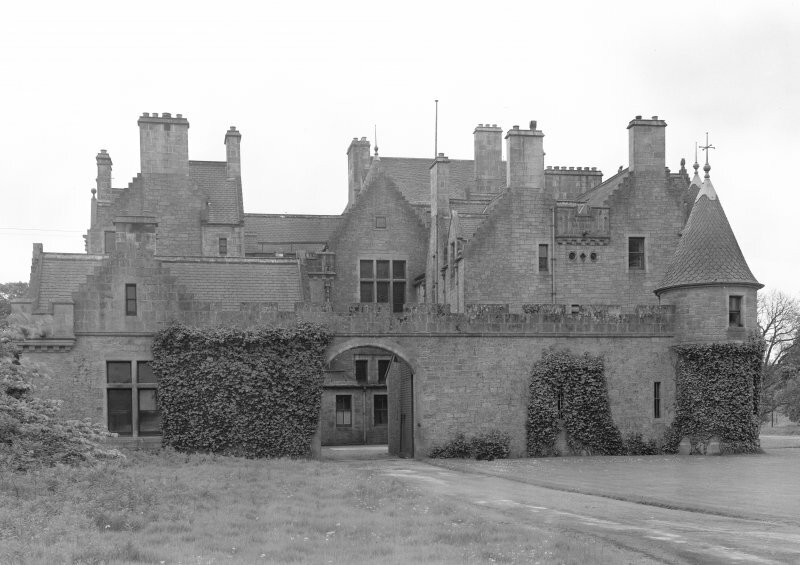 The external aspect suggests that the three lower storeys represent an early thick-walled keep of possibly the first half of the 15th century, which was heightened probably in the 16th century, and completed with the angle turrets and present gables in the early 17th century. 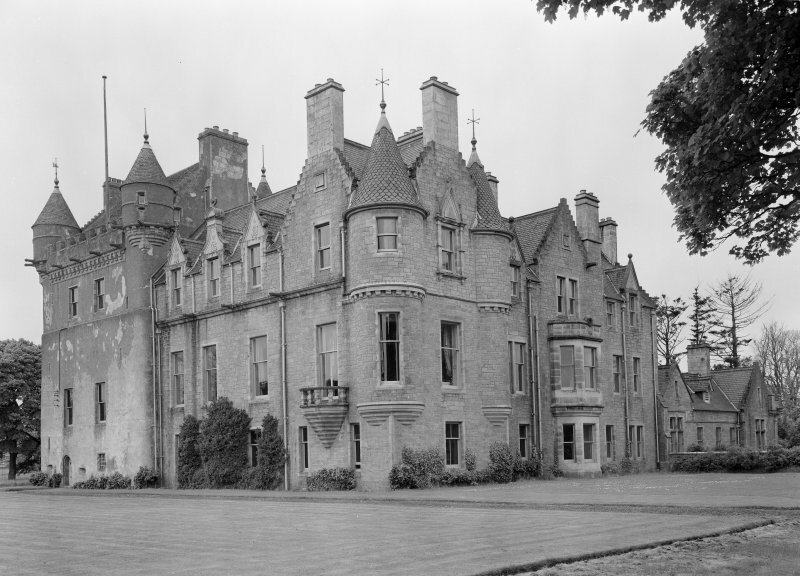 Traditionally Udny was built by three lairds. 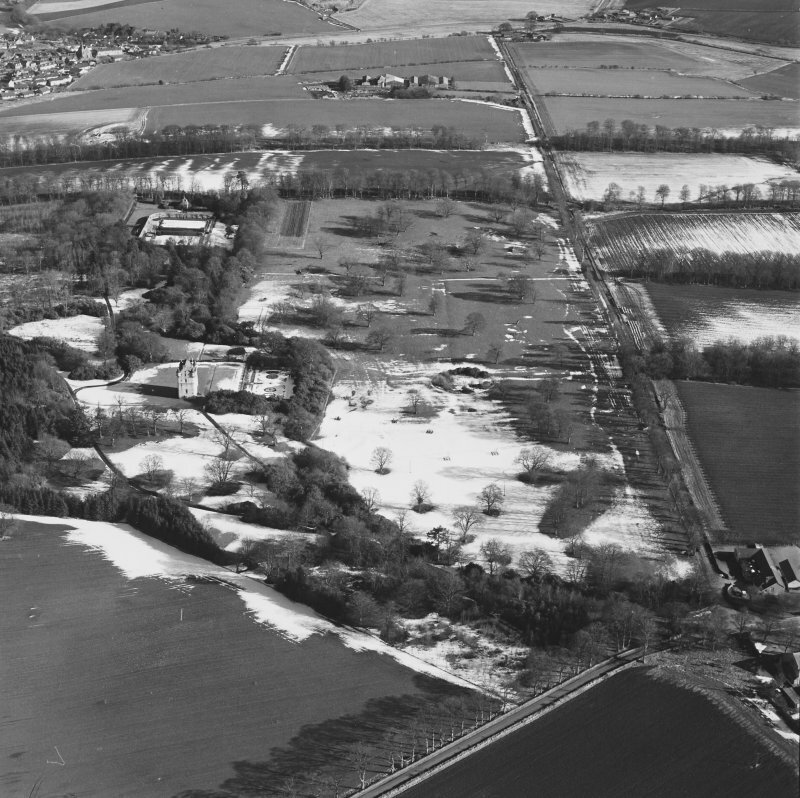 The first recorded mention of the property seems to have been when Ronald of Uldney had a charter of the lands from David II. 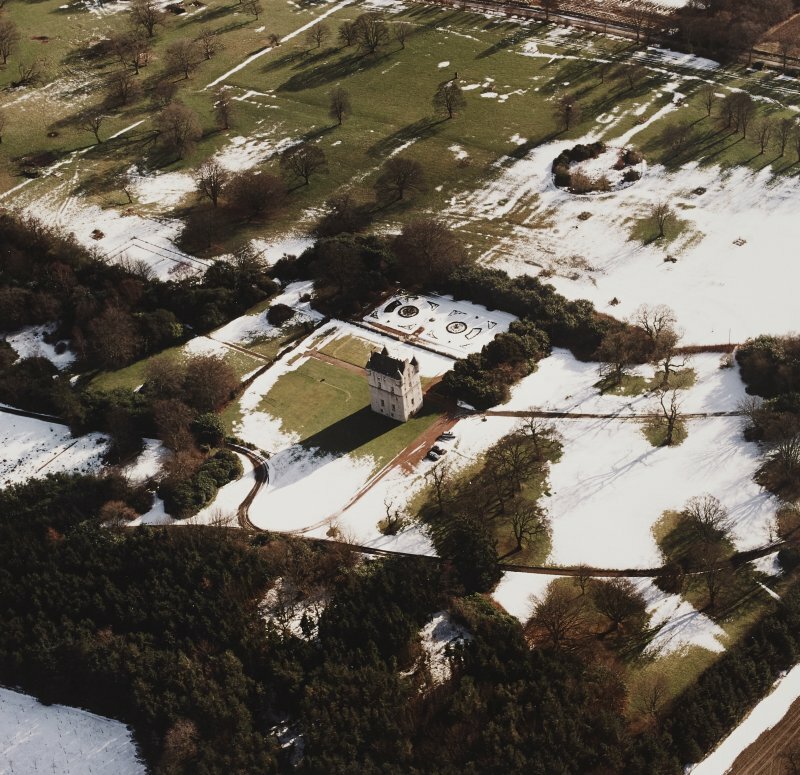 The Udny's have occupied the property down to the present times. 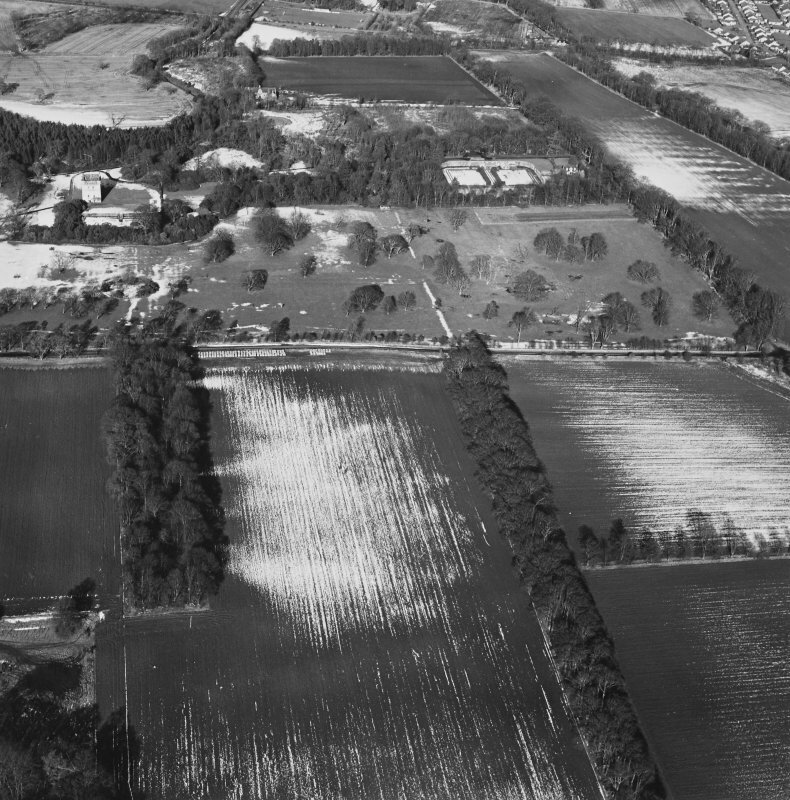 D MacGibbon and T Ross 1887-92; N Tranter 1962-70. 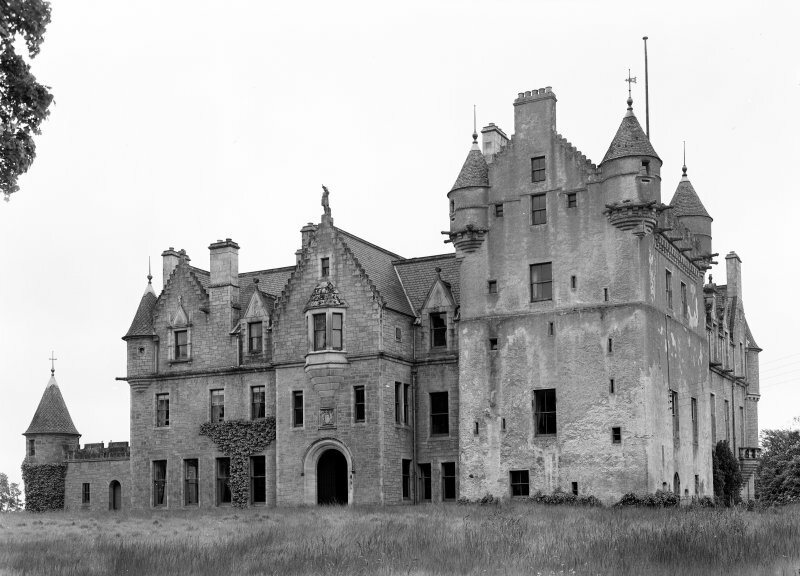 Udny Castle, as described by Tranter (1962-70) and planned by MacGibbon and Ross (1887-92), was renovated in 1966 and is now occupied. 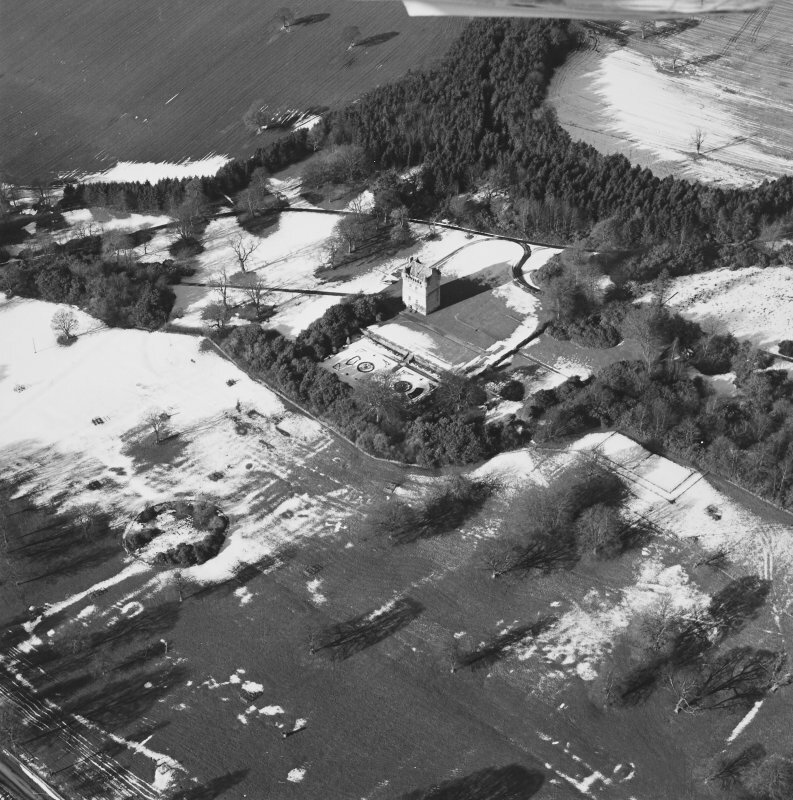 Visited by OS (RL) 5 April 1972. 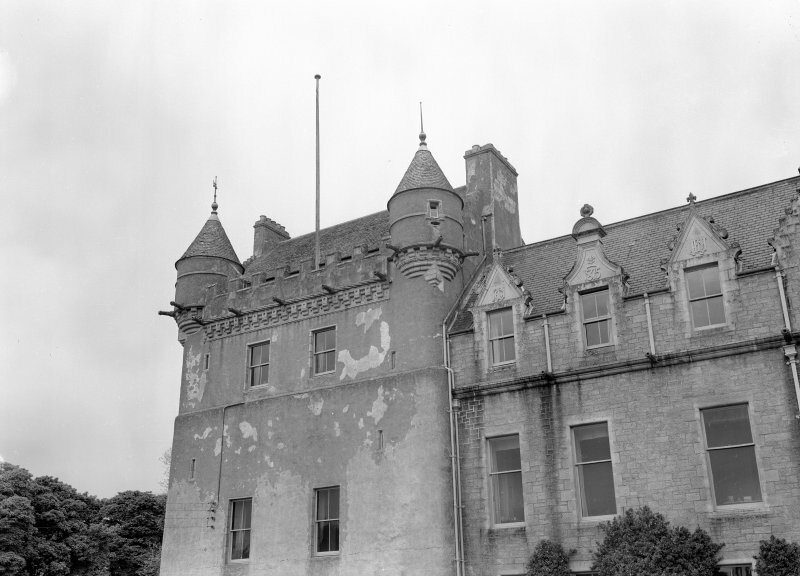 Photographic survey of the exterior and interior of Udny Castle, Aberdeenshire, in 1961.